I had to drive into town the yesterday to take care of some business, and was planning to only be gone for about an hour. Whenever there are errands to be run, whether for business or pleasure, there seems to be this little bogeyman who magically appears on my shoulder. I didn’t listen to that little brat and brought the camera with me anyway. 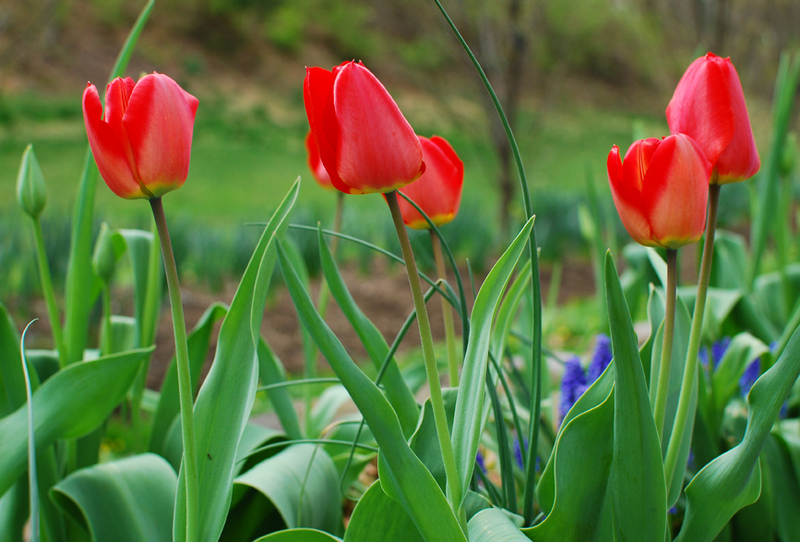 After finishing up what I had to do, I went for a short walk and discovered the first tulips of the season opening. It pays not to listen to that pesky little bugger, so my camera is with me everywhere I go. 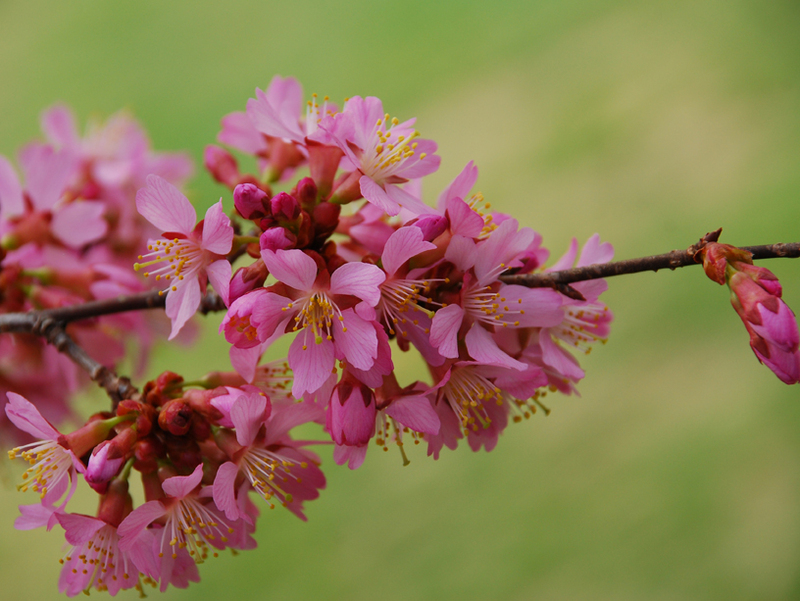 IN THE FIELD: Everything Is Blooming! 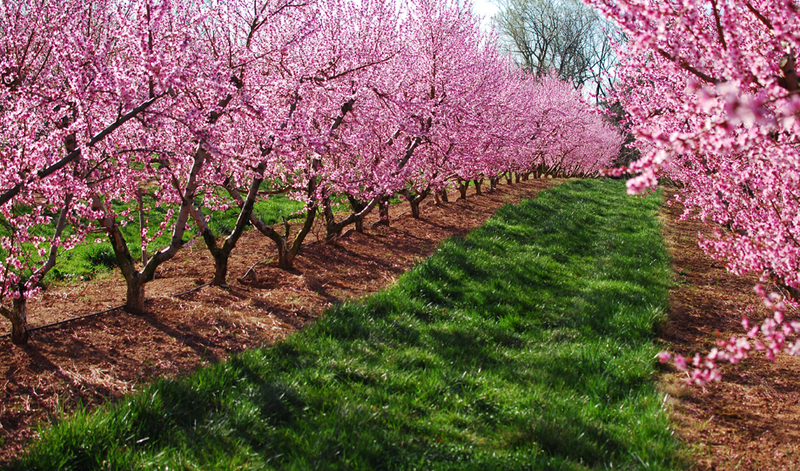 Earlier this week I made a trip down to the orchard to see what trees are blooming. The apple trees are going full steam ahead while the cherry trees are just starting to blossom. It seems a bit early for the trees to to have flowers and the first hints of leaves, but I guess Mother Nature knows what she is doing. I arrived around 9:30 in the morning which was perfect…except it was only 36 degrees. Even though there was a breeze, the sun was warm and comforting. And walking down the rows and rows of trees was like being in a pink and white tunnel with a green grass floor and a blue sky ceiling. 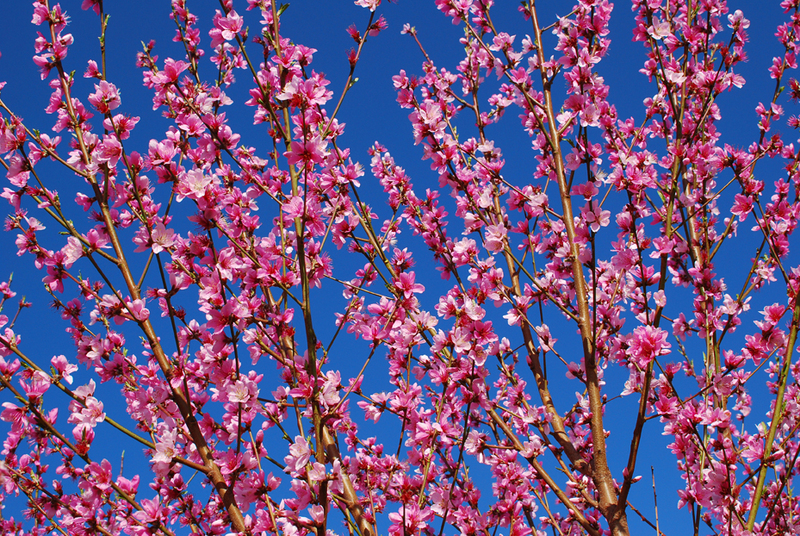 The branches are covered with so many flowers, so it looks like it will be an excellent crop this year. I put the sun to my back, and since it was still pretty low, I was able to compose some shots with the deep blue sky as a background. No polarizer was needed that morning! Periodically I will look through the several binders and boxes filled with film slides I have shot over the years. And when I have some down time, I’ll scan several images so I can archive them electronically. I find it’s better to do a dozen or so at a time, and take a short walk down memory lane. Rather then reliving the entire journey. The oddest thing is even with the large volume of images I have in my library, I can still remember where each shot was taken. And if I would put some thought into it, I could probably recall the lens I used. Somewhere in my gene pool, one of my ancestors must have had a photographic memory…and I am sure glad I inherited it. It’s been rather handy. The problem is, I get teased a lot by folks in my inner circle for having supernatural memory powers. But then, these same folks poke fun at me because I have retained the names of most of my teachers as far back as elementary school. But…every now and again, I hit a Brain Spot. Like with this photo. I can honestly say I have absolutely no idea where this image was taken. 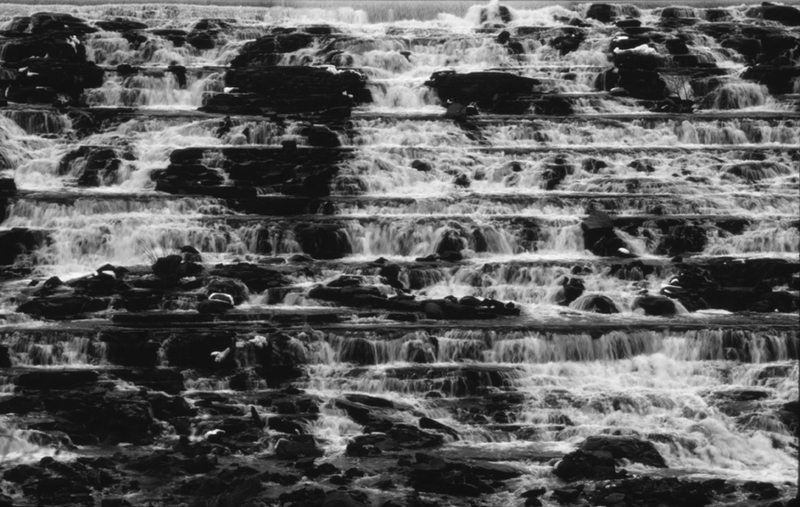 I do know that this is not a man-made structure, and the steps in the rocks and the waterfall were formed through natural processes. Earlier this week I went down to the orchard to pick up some fresh vegetables and fruit. On the way to the front door of the store, I had to walk past a bunch of tables that were filled with the latest shipment of spring flowers. I couldn’t miss out on an opportunity like this. Since I always have my camera with me, I knew exactly what I would be doing after I picked up my groceries. 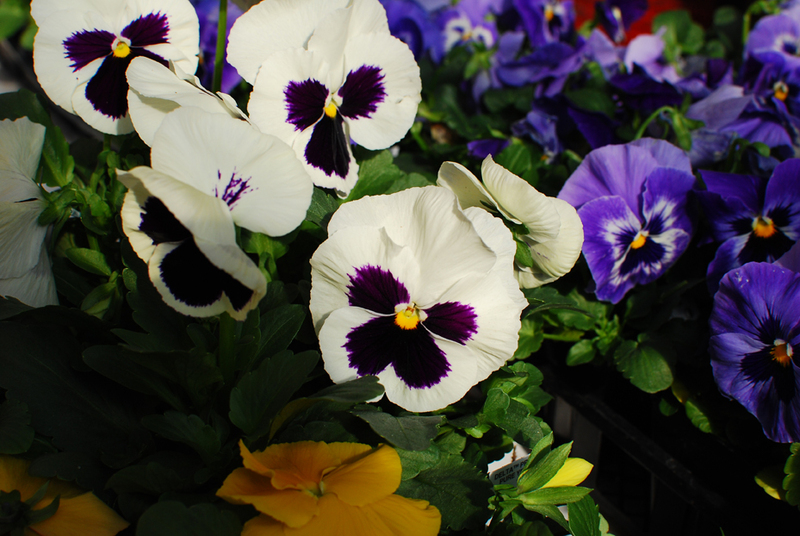 The tables and walkways were covered with pansies, primroses, and phlox. What an entrance to a classic country store! Just down the road from where I live is an old farmhouse that has been restored to it’s former glory. The grounds surrounding the home and barn have been improved with gardens and new plantings of shrubs and trees. The old trees on the property are still doing well and shade the house nicely in the spring and summer. The owners always have nice groupings of flowers surrounding the property and through out the landscape. And as you drive around the corner you are greeted with splashes of color throughout the seasons. The stone walls have been re-stacked and will probably still stand for another hundred years This old stone wall is at the base of their driveway and it is one of the first things you see as you approach their home. One day last week I visited the Art Museum and Planetarium in our nearby city. They are selling our Gardenscape book in the museum gift shop, and I stopped by to take care of some business. After I finished my visit with the folks in the gift shop, I took a quick walk around the museum grounds. There are walking paths along a stream, gardens and numerous sculptures within an arboretum. Since I had a few other book promotion stops to make, I was not able to spend a lot of time. But I did stay long enough to get some shots of early spring bulbs. 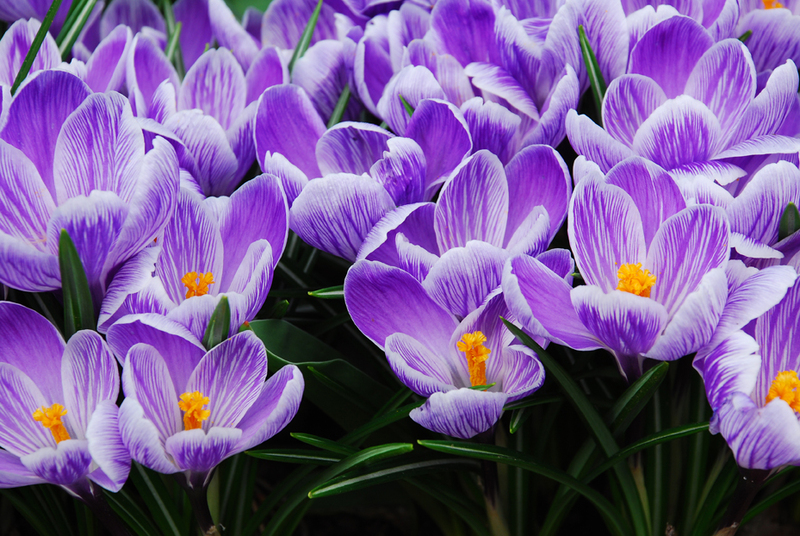 These crocuses were blooming in a long, raised stone bed along with groupings of daffodils of assorted sizes. I am glad I took the time to photograph these small spring flowers, because I revisited the garden a few days later and they were finished blooming until next spring. Our lives are full of countdowns. We count the seconds for the big ball to drop in New York City on New Year’s Eve. We make note of the number of days until our birthday. Some of us even make sure other people know how exactly how many are left until that day. We will mark off the days on our calendars for our long-awaited vacations. We also know if we have two or three minutes left on the second swat of the snooze alarm in the morning. I am counting how much time is left until the first day of Spring. It is 4,628 minutes from the moment I post this. 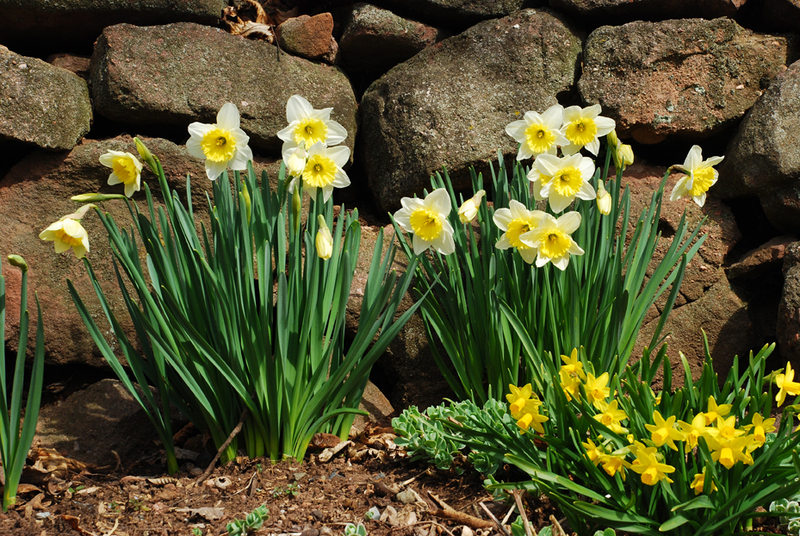 In the northern hemisphere, Spring officially starts on March 20th at 1:14am EDT.